1 : 5385600 Henshaw, Frances A. 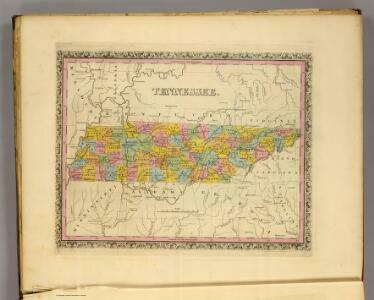 1 : 1700000 Lucas, Fielding Jr.
Map of The Tennassee State. Map of The Tennassee (sic) Government. Tennassee: lately the S.Wn. Territory.